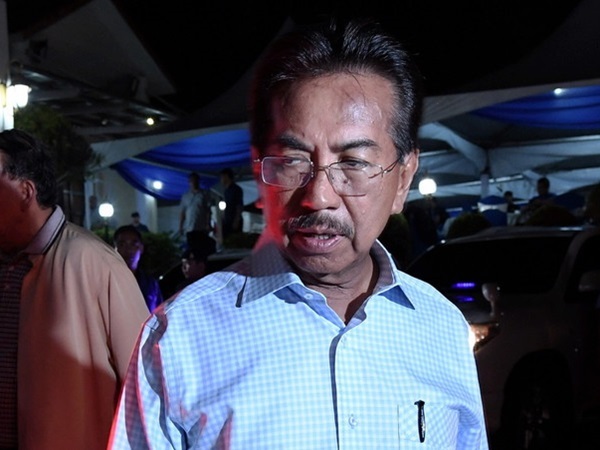 KOTA KINABALU: Former Sabah chief minister Tan Sri Musa Aman has been detained by police in Kuala Lumpur to assist investigation on the alleged criminal intimidation against the Yang Di-Pertua Negeri. Sabah Police Commissioner Datuk Ramli Din confirmed that the former Sabah Barisan Nasional chairman was detained at a location in Kuala Lumpur around 10am today. Ramli however declined to comment further but stated that police have applied for a remand order against Musa but was declined by the Magistrate’s Court. “Let us do our work and when the time is right we will notify the press,” he said. Musa was seeking medical treatment at a private hospital in Subang Jaya on Wednesday, after returning to the country. He had earlier flown in from Singapore, after taking a long-hour flight from London, where he was reported to have undergone heart surgery. Musa, who is the Sungai Sibuga state assemblyman, is wanted by the police over a criminal intimidation case against the Head of State Tun Juhar Mahiruddin over the May 10 swearing in of the former as chief minister at the Istana Negeri. Two days after Musa was sworn in, six Barisan Nasional assemblymen defected, giving Parti Warisan Sabah president Datuk Seri Mohd Shafie Apdal the majority in the 31-seat state assembly, and the latter being sworn in as the state chief minister on May 12. He is also wanted for an ongoing investigation by the Malaysian Anti-Corruption Commission (MACC) into alleged buying of assemblymen’s support after the May 9 general election. The former Sabah Barisan Nasional chairman was last seen publicly leaving Sabah for Kuala Lumpur on May 14, and reportedly left for London on May 17.